The tragic saga of the recalled Nap Nanny Infant Recliner continued this week as the U.S. Consumer Product Safety Commission confirms a sixth baby has died while in the product. The latest death, which occurred in Hopatcong, NJ, involved an 8-month-old girl who was secured by the seat’s belt and found partly hanging over the side of the Nap Nanny recliner, trapped between the product and a crib bumper. 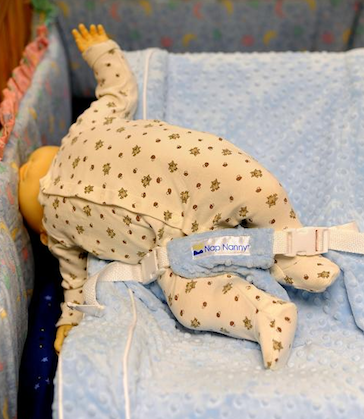 The Nap Nanny, which was manufactured by now defunct Baby Matters LLC, has been at the center of a massive recall and lawsuit, beginning in 2010, after five infant deaths were attributed to the product. The baby suffocates on the inside of the Nap Nanny. While the product was first recalled in 2010 and is no longer sold at stores, CPSC officials urge families with the products to dispose of them immediately and to stay away from the products at garage sales. In December 2012, the CPSC took the unusual step of filing a lawsuit against the company when investigators felt the company did not do enough to make its product safe for small children. The lawsuit was only the third in 11 years that the agency had filed related to a recall. Shortly after the lawsuit was filed, Baby Matters fought back asking the court to dismiss the case. All legal proceedings were stopped when the agency and company reached a settlement for a voluntary recall in June 2013.